What does an architect really do? Assistance in identifying and acquiring the proper parcel of land. Zoning code analysis, including assistance in obtaining zoning variances. 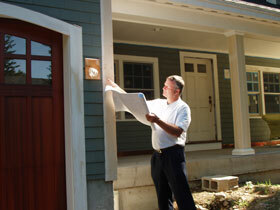 Building code analysis, including assistance in obtaining a building permit. Project design, from schematic design through final detailed design. 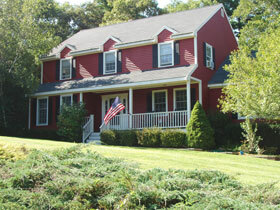 Preparation of construction documents to allow contractors to competitively bid your project. Assistance in obtaining and comparing construction bids. Construction administration services (liaison between owner and contractor) including contract negotiation and payment certification. Why should I hire an architect? Aesthetics; creating a building that is pleasant to look at and fits within its context. Cost; keeping the project within your budget. Functionality; making sure the project fulfill all your needs. Environmental Impact; weighing the benefits of "green materials". Energy Usage; weighing the benefits of alternative energy sources. My contractor says he can do the "drawings" for me. Isn't that good enough? Contractors serve a very important role in the overall project. They may have valuable insight into ways to keep costs down or to shorten construction schedules. They are responsible for managing and coordinating the many subcontractors that are necessary to complete even a small project. They are, in general however, trained to manage a construction project, not to design it. Having a contractor design your project is similar to hiring a carpenter to do your plumbing, something that he or she is not fully trained to do. Can I afford an architect? Many people have the misconception that an architect is an unaffordable luxury. The truth is, that much or all of the architects cost is made up in savings during the construction project and the added value of the final project. Careful planning before a project begins results in fewer changes during construction which often result in a large amount of wasted money. Accurate plans allow contractors to hone in on the real cost of the project in their bids, which keeps them from having to “pad” the numbers for “unknowns”. 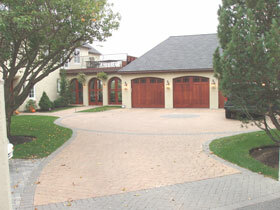 When it comes time to resell, your project will receive top dollar because of its “curb appeal” and functional layout. Last but not least, you have the value of enjoying a well designed space from the start! How much do architects charge? Fees can vary greatly between projects, and even from architect to architect. There are three main ways architects charge; a set fee; on an hourly basis; a percentage of the construction cost. If the scope of the project is defined, we will usually give you a set price up front so you know before we start exactly what our fees will be. Because we offer different levels of service, we will provide you with a breakdown of the overall fee so that you can decide which level of service is best for you. We provide an initial consultation at no cost and no obligation to allow us to familiarize ourselves with your project so that we may provide a written fee proposal. Your Vision • Our Passion © Copyright Deer Hill Architects LLC, 2008. All rights reserved.